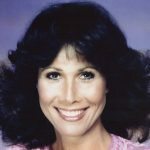 Michele Lee played Karen Fairgate MacKenzie for the full fourteen years of Knots Landing. She was born on the 1ST of June, 1956. Throughout 2000 and 2001 Michele Lee has been working in the highly succsesful Broadway theatre production of “The Tale of the Allergist’s Wife”. The run ended in 2001, the show itself was a sell-out throughout the course, and Michele Lee was nominated for a Tony 2000 Award for her outstanding performance. Before this role Michele hadn’t dont theatre in many years, Michele has said recently she really enjoyed the return to the stage and plans to do lot’s more. When asked about another Knots Landing reunion Michele said she would love to, but it is very hard fitting it into everybody’s schedule. 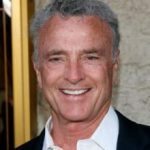 To this day Michele still keeps in touch with many of the actors on Knots Landing, including Joan Van Ark and Donna Mills in particular, who are both very good friends of hers.